Voted by you, styled by me, October’s winning style is another revamped basics style – you love the basics! If you’re in a hurry and your hair’s shrunken or not co-operating, grab the side and pin it up – easy peasy. You’ve voted, now watch then don’t forget to rock your version! 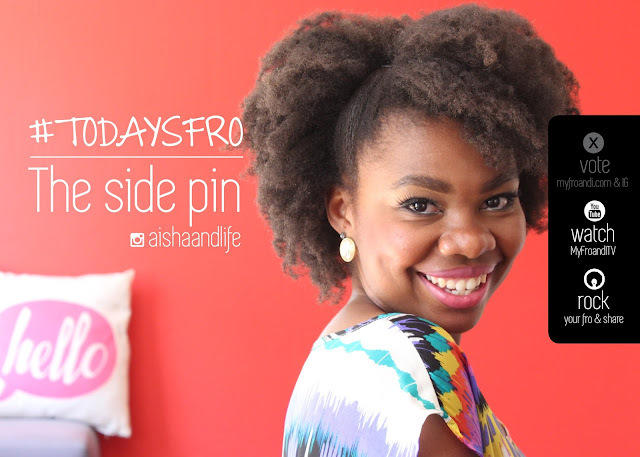 Tag me @aishaandlife and #todaysfro to share your selfie of you rocking the side pin. Thank God. This is what I'm doing for work tomorrow!